The temperature has been going up and down like a yo-yo. We hit 70 degrees last week, then dropped down to 25 degrees this past Tuesday night, one night only! I rushed home from work to cover the vegetable seedlings that had already sprouted. They’re too tender to take the frost and accompanying high winds. Between the low temperature and windchill at 16, I couldn’t feel my fingers after I had finished the chores. Wednesday morning when I opened the two layers of industrial grade garbage bags (ran out of the row cover) I had used to cover some of the Snap peas, I found the pea seedlings were looking like they had been in a freezer. However, a little sunning during the day and they got the color back in their cheeks. 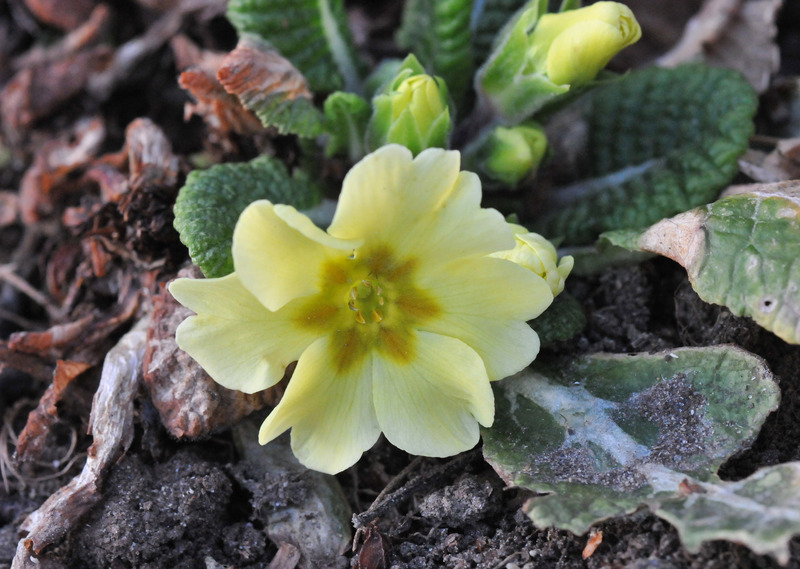 To my surprise the Primrose (Primula) and the daffodils (left uncovered) appeared unperturbed by the frost. Darwin would be proud. 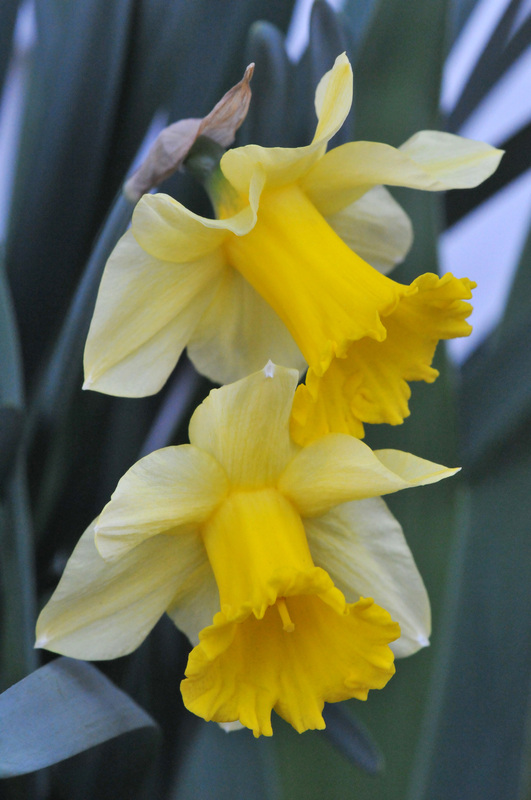 Daffodil-not even a slight windburn on the petals.